This is a reminder (or notification) of the joint stated meetings of Ogden and Homer Lodges for the months of JULY, AUGUST and SEPTEMBER 2011. All the meetings will be held at Ogden Lodge, and they will alternate between regular meetings nights as follows. IN JULY: Homer Lodge and Ogden Lodge will meet together at Ogden on Wed, July 13th at 7:00 PM. There will be no Tuesday meeting in July for Homer Lodge. Ogden Lodge will be responsible for opening and closing and providing refreshments. 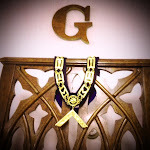 IN AUGUST: Homer Lodge and Ogden Lodge will meet in Ogden on Tues, Aug 9th at 7:30. There will be no Wednesday meeting in August for Ogden Lodge. Homer Lodge will be the host and responsible for opening, closing and refreshments after. IN SEPTEMBER: Homer Lodge and Ogden Lodge will meet at Ogden in Ogden on Wed, Sept 14th at 7:00 pm. There will be no Tuesday meeting in September for Homer Lodge. Ogden Lodge will host and be responsible for opening, closing and refreshments after. We do this because the Ogden Lodge building is easier to cool and is on the ground floor. We had a lot of fun doing this last year, and Dispensation has been granted to both Lodges from our Most Worshipful Grand Master for these stated meeting changes.